Tetris. How do you like it? 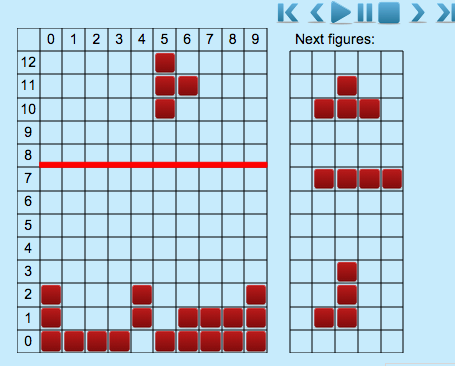 We already have five users ( and I am one of them ) who solved Tetris task. Tetris is a Score Game so it is very unusual task for this service. How do you like to solve this task? Created at: Oct. 30, 2012, 8:19 p.m.; Updated at: Sept. 30, 2013, 1:46 p.m.